Turtle Firewall is an excellent, yet simpler kind of user interface to iptables. It is integrated in something called webmin (a web administration interface). It is fairly basic, and neither as complex nor able to handle as complex changes as the fwbuilder package, but it is more than able to handle most simpler firewalls, as well as some more advanced ones as well. One big advantage with Turtle Firewall is the fact that it is web-based, and hence can be remotely controlled in a totally different manner than with fwbuilder and most other tools. Of course, it also adds more of a security risk since webmin is a separate extra service running on the firewall itself. 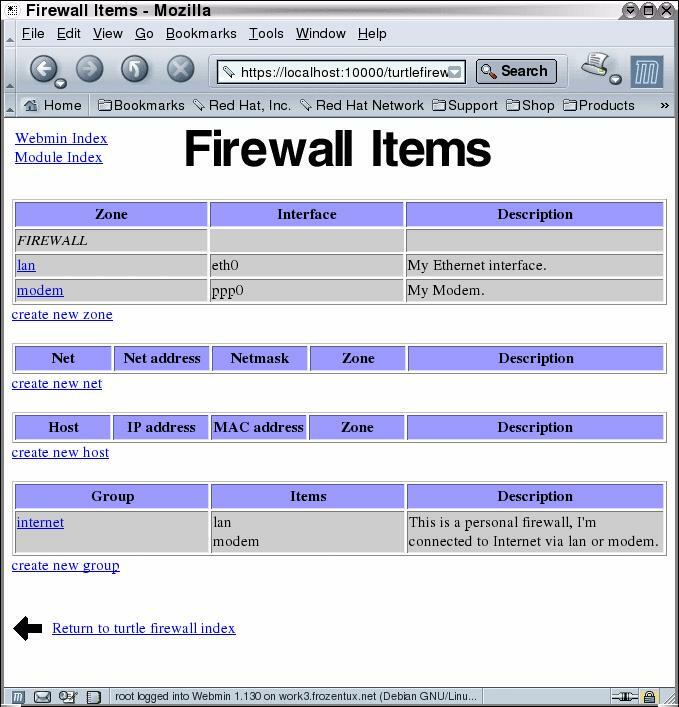 The above screenshot shows the items page of the Turtle Firewall, where you can configure network interfaces and networks, and other items. This final screenshot shows the turtlefirewalls main screen, and with the whole ruleset expanded at the bottom. The whole ruleset isn't showing, as you can see, but you get a good general idea of what it looks like in Turtle Firewall. 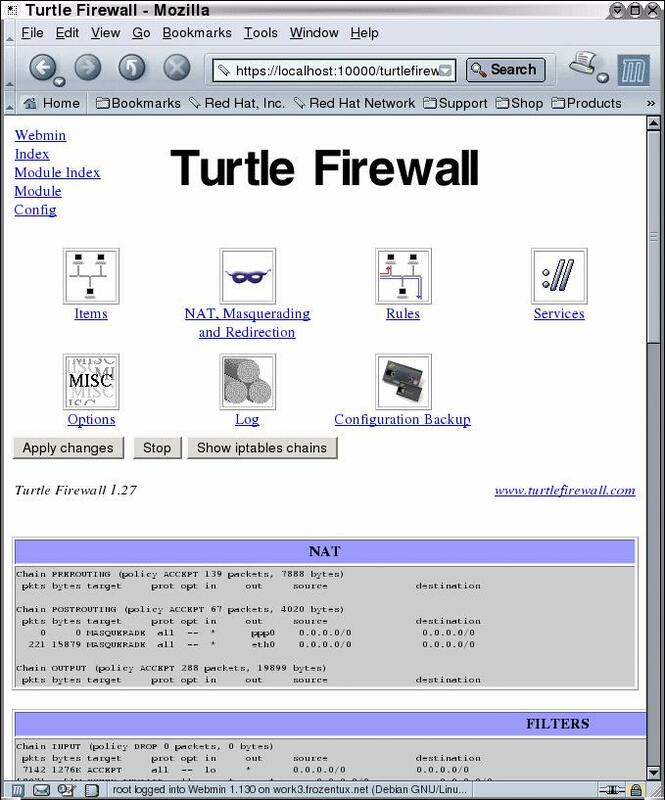 You can find the Turtle Firewall Project and more information over at https://www.turtlefirewall.com/.